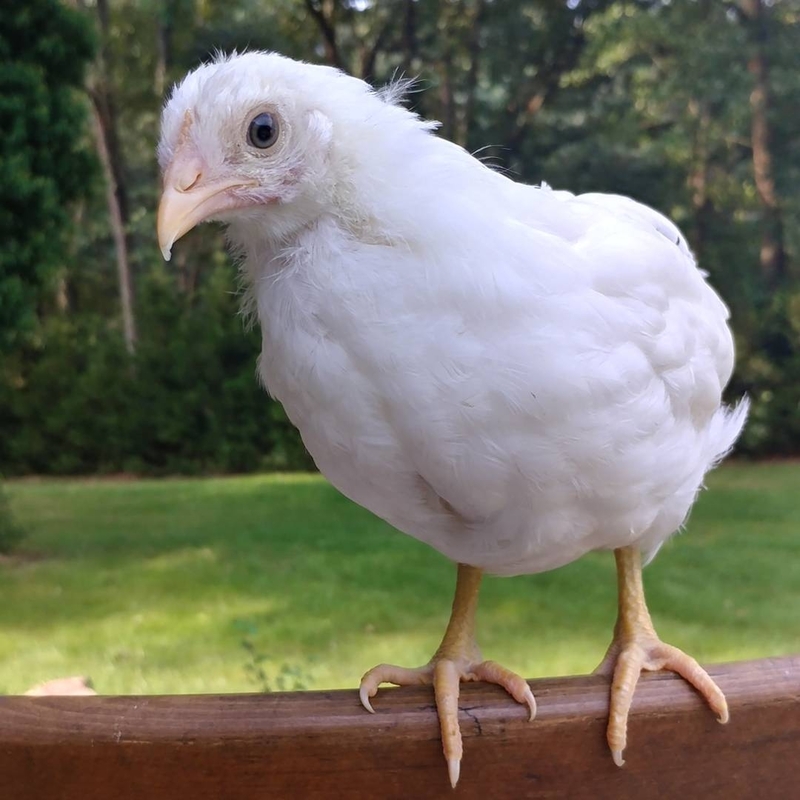 Glo, short for Gloria Vanderbilt, is a 10 week-old hen who was nicknamed after her ‘day-glo’’ like appearance. 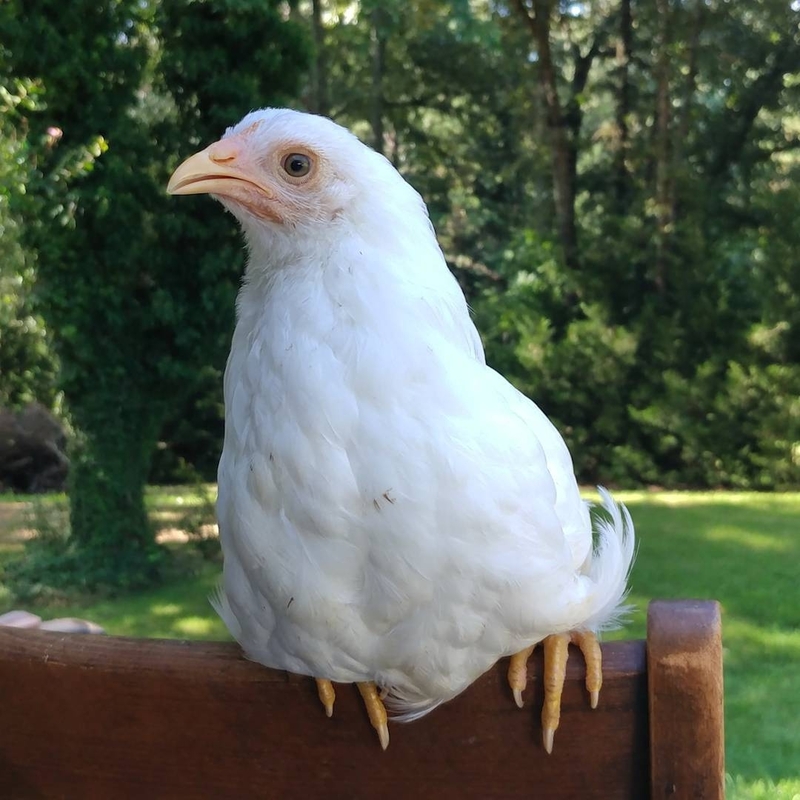 She lives in Atlanta, GA with 13 other chickens in Jesse’s backyard. 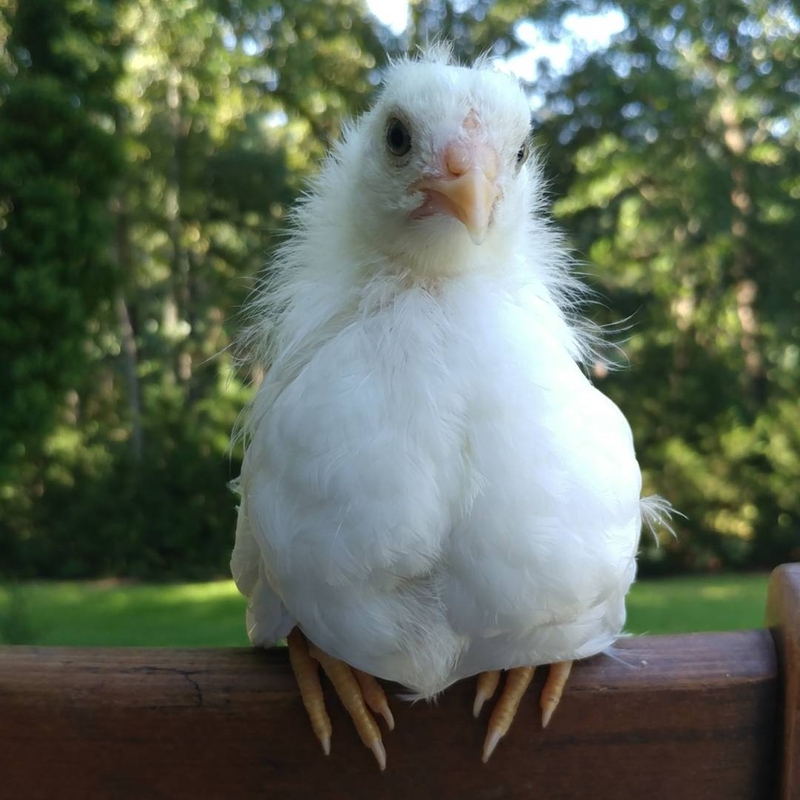 Jesse loves coming up with unique, fun names for each of her little birds, and often takes her time with naming to make sure that each bird’s name correctly matches their own individual personality. 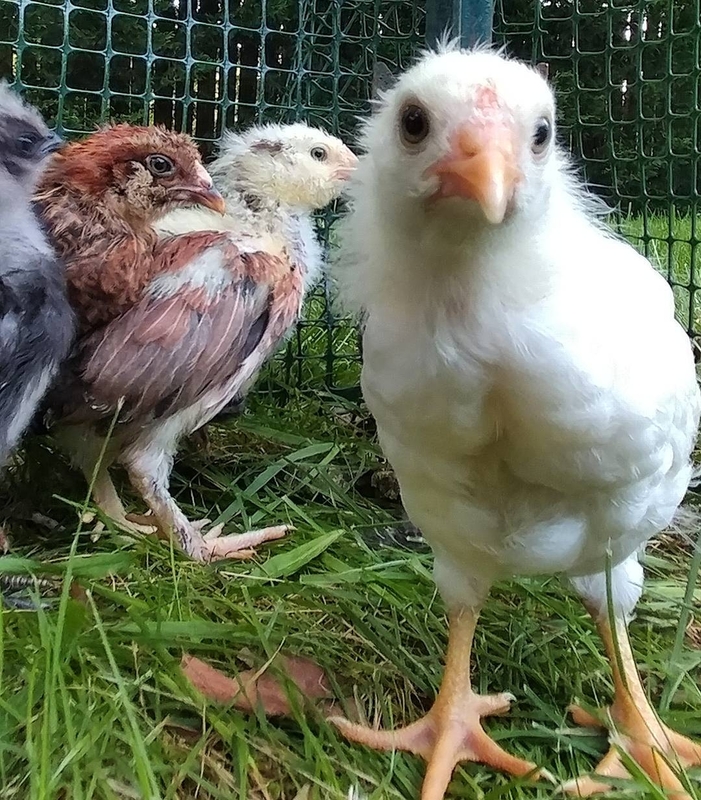 Donna Martin and Kelly Taylor, named after 90210 TV show characters, are the older “Mean Girls” of the flock. 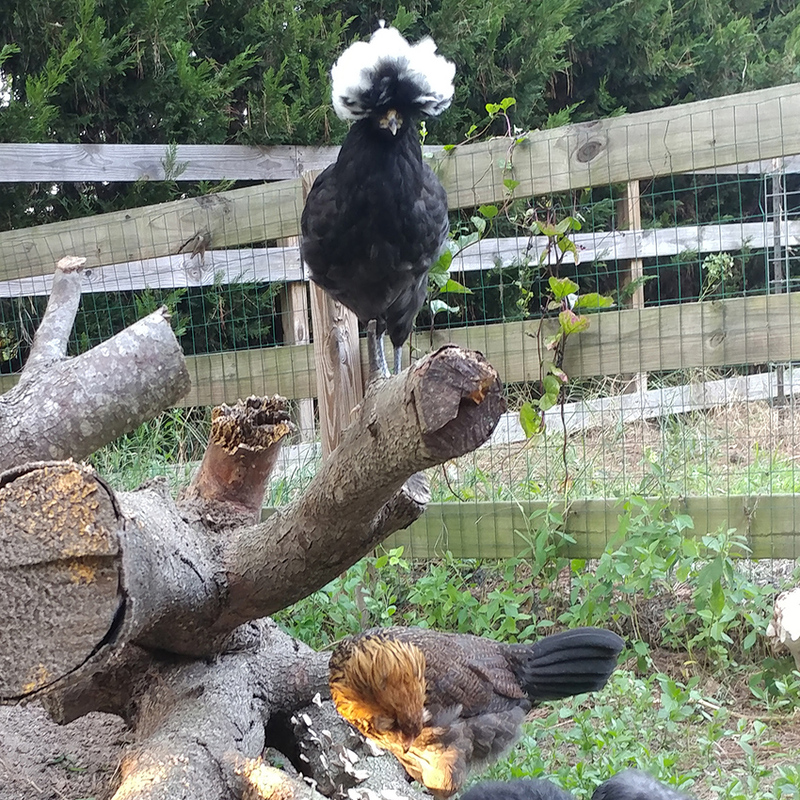 Alejandra, a white crested black Polish, was named after Lady Gaga’s hit single, “Alejandro”, due to her dramatic nature. 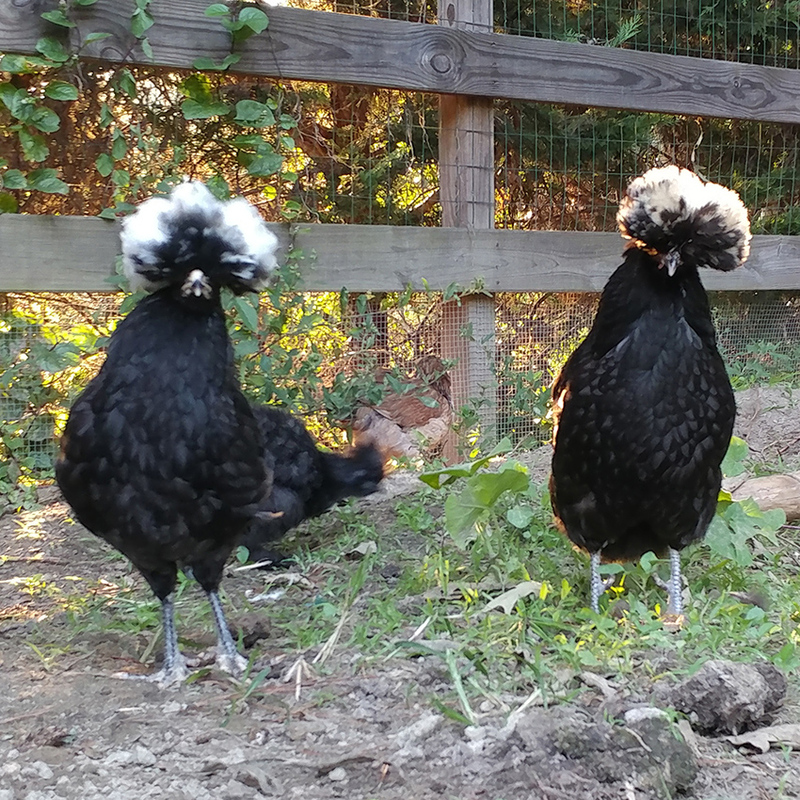 Ruth Bader Ginsberg and Sonia Sotomayor are black silkies who are the more intelligent and judgmental members of the flock. 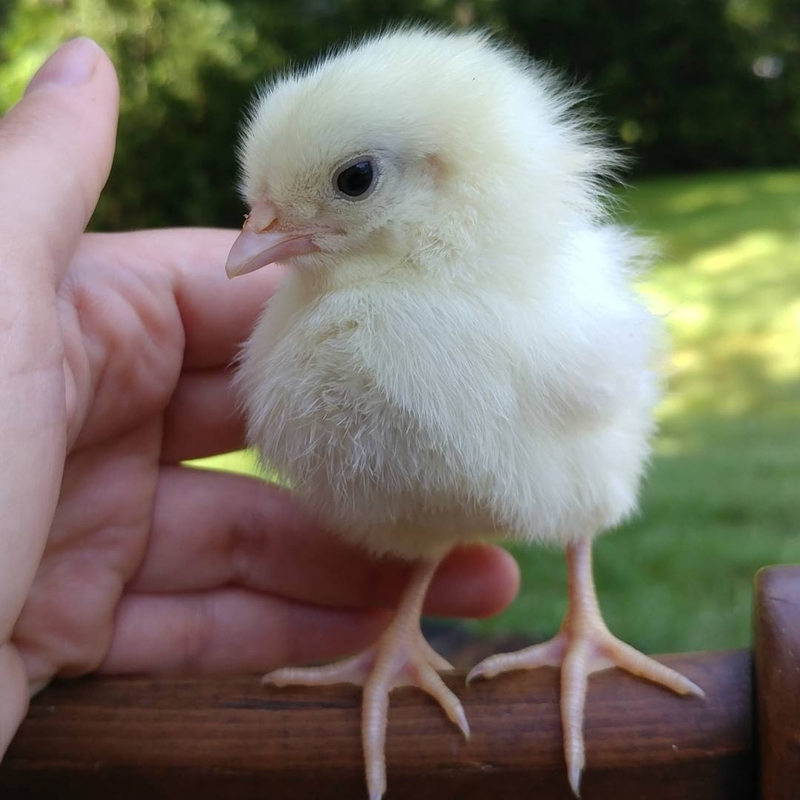 About 10 weeks or so ago, Jesse acquired 10 baby chicks as new additions to her flock. Glo was one of the babies. 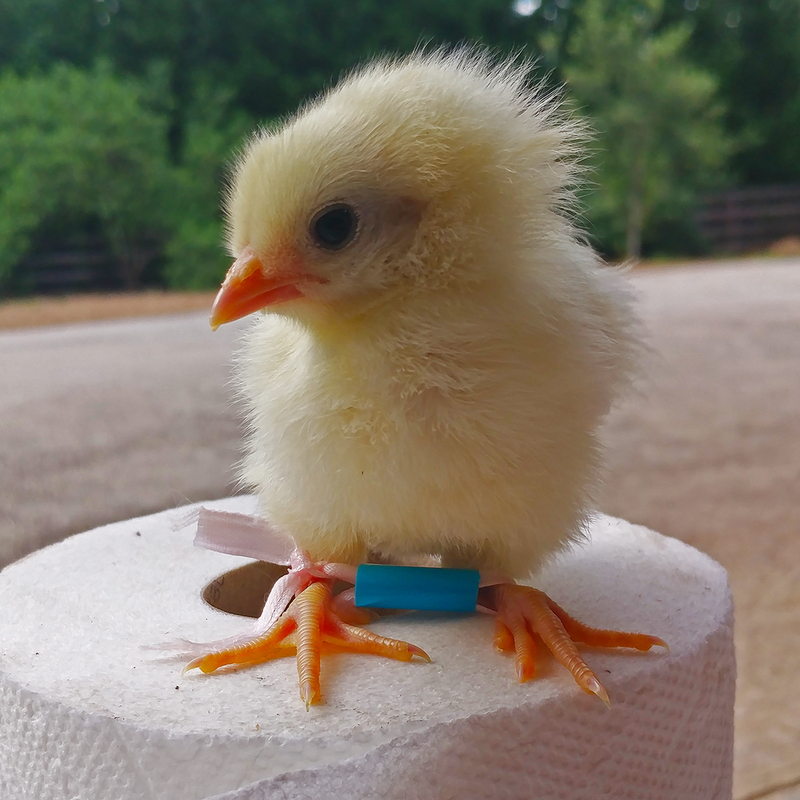 When Glo first arrived, she seemed normal and healthy, like the other 9 chicks that arrived in the mail from a hatchery. She had no problems walking and would regularly visit the feeder and waterer. 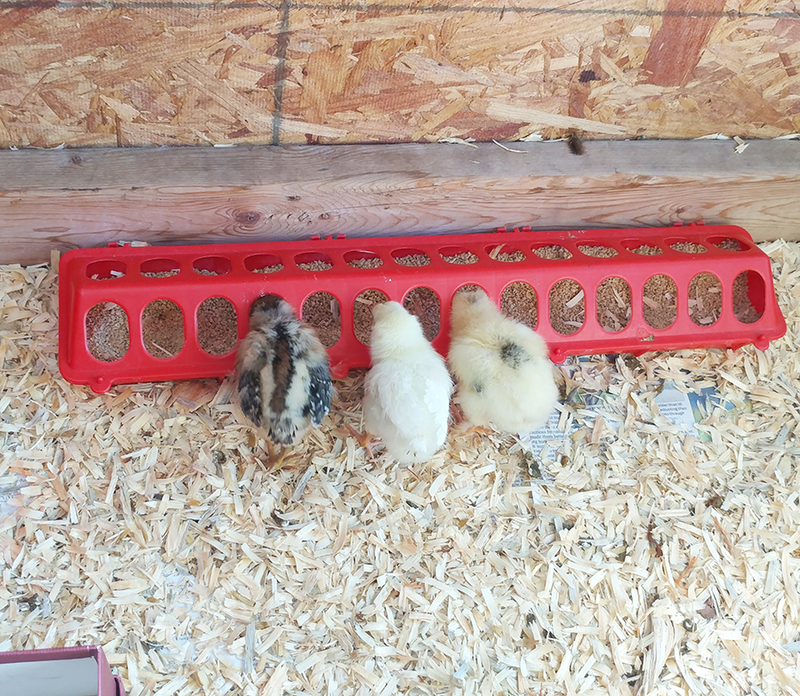 After the first week, Jesse noticed that Glo wasn’t getting up to play, eat, or drink like the other chicks. Instead, she isolated herself from the others, and just be seen ‘sitting on her elbows’. 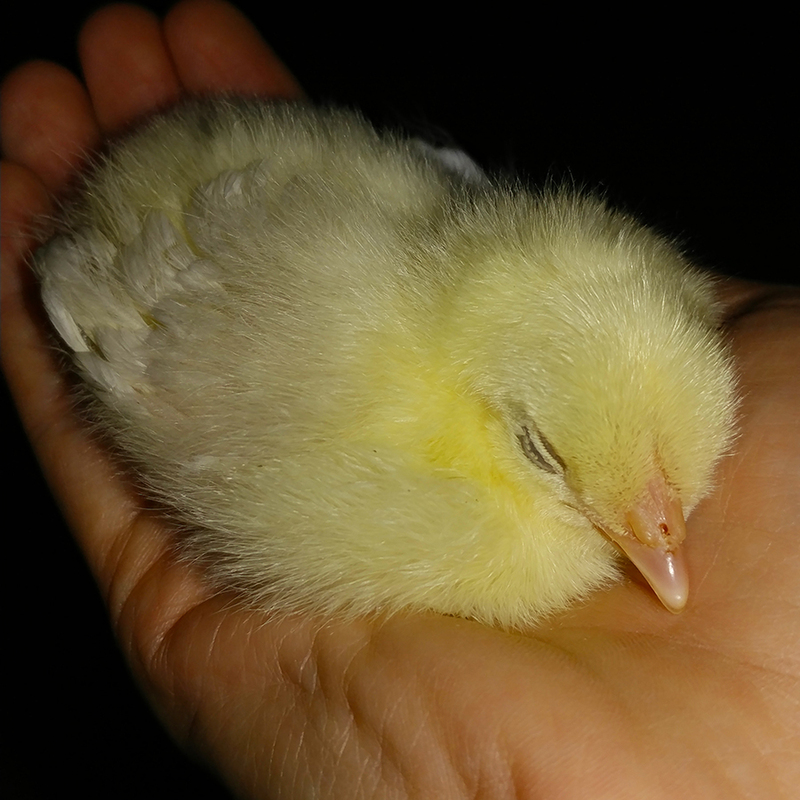 The chick didn’t seem to be able to stand up on her own, and when she attempted, her legs splayed out from underneath her. In order to move place to place, she had to shuffle herself using her other body parts. Glo spent most of her time in the corner of the brooder, constantly peeping as if she was crying for her mother for help. Glo would eat and drink if Jesse relocated her in front of it, but she couldn’t reach it otherwise. 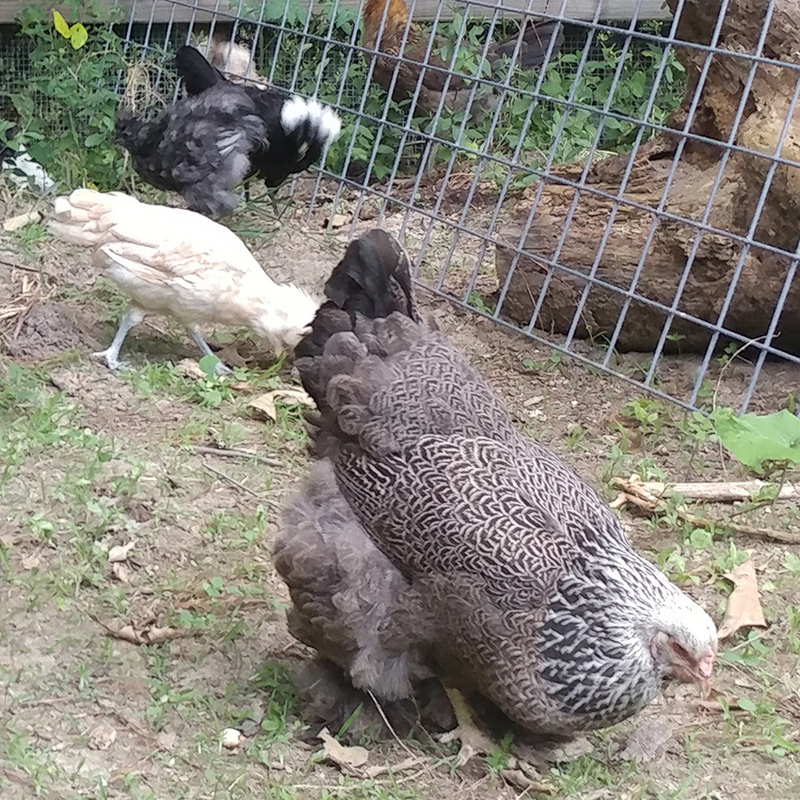 The other chicks were starting to trample over her to get to the feed. 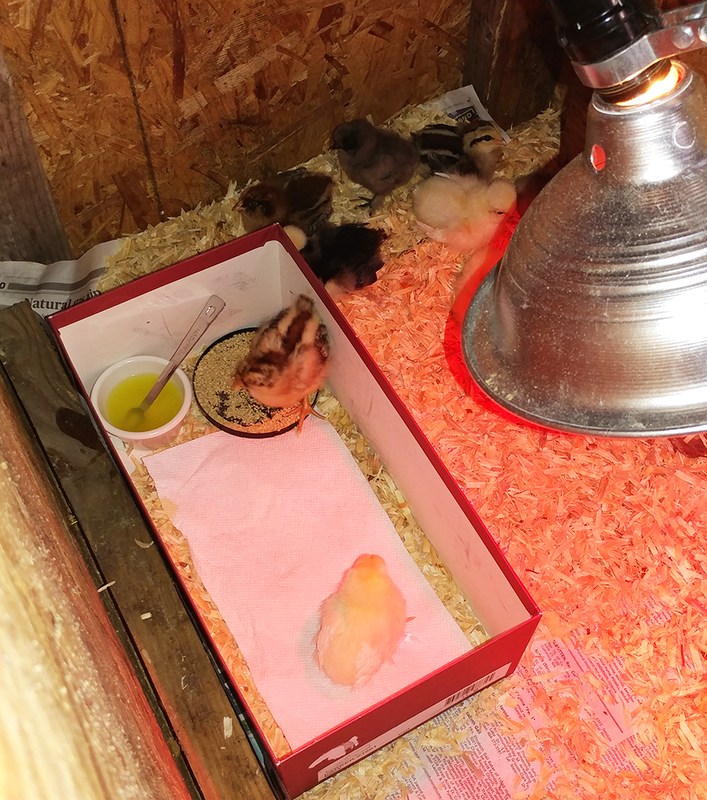 Jesse was afraid she would get hurt, so she decided to contain Glo in a separate area (a small shoebox) within the brooder. 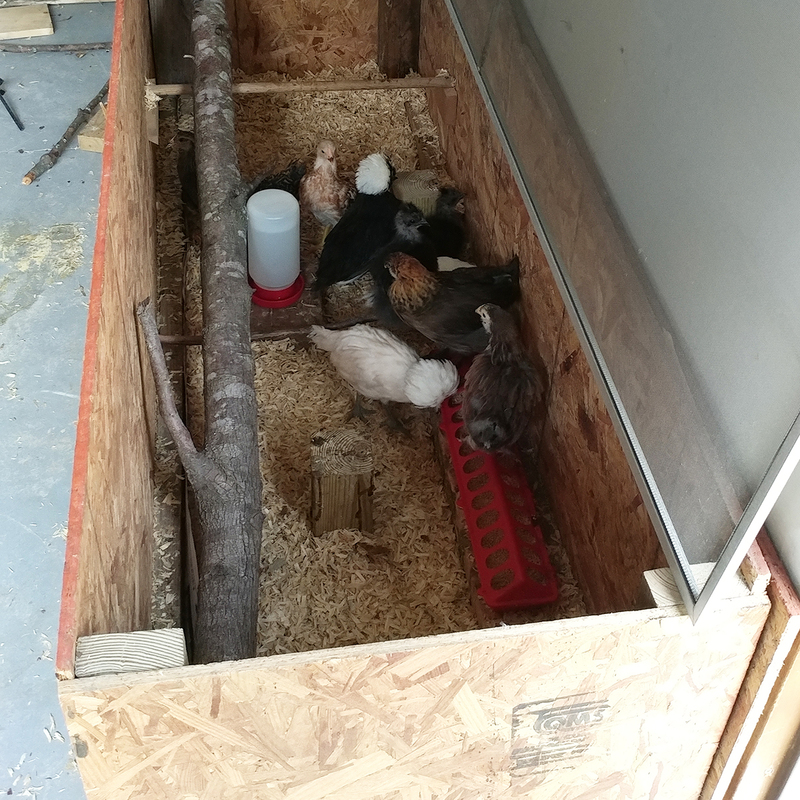 Jesse added another chick in the same area, so Glo would have some company. She provided them both with a small container of feed and supplemented their water with additional vitamins. Using these items, Jesse hobbled Glo’s legs together into the position that she should be, under her body. This provided Glo some support, to help her stand and walk on her own. 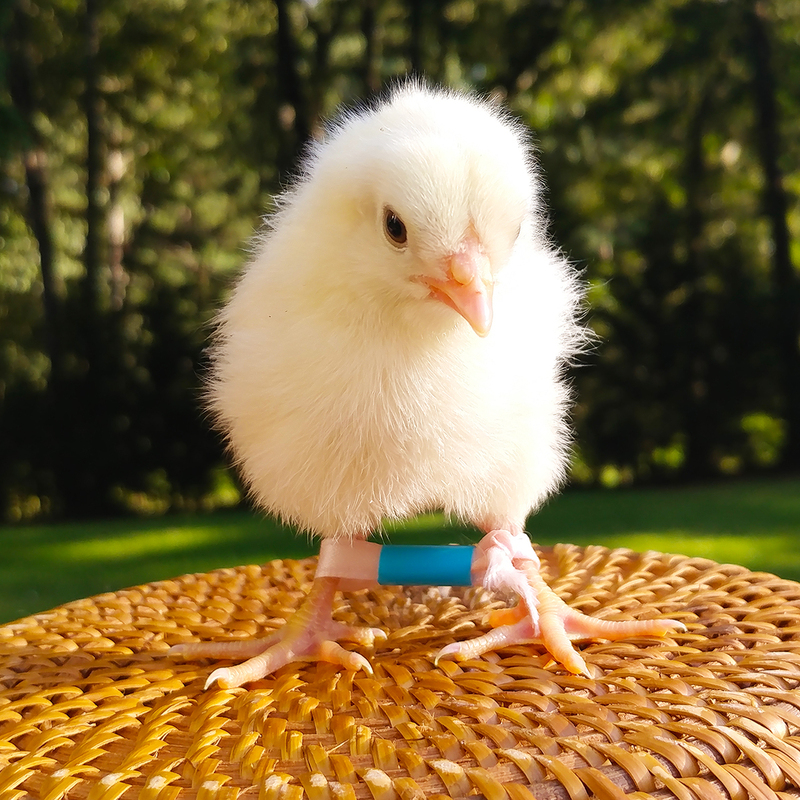 Jesse closely monitored the chick during her physical therapy, making sure the items never got too tight around her legs, and to see whether the treatment was showing promise for correcting her condition. Within three days of starting her physical therapy, Glo was able to stand and walk on her own. Her splayed leg fully recovered! 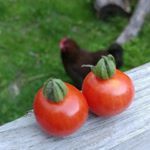 As of today, Glo runs, hops, jumps, flaps, stands, walks, and scratches the ground with her legs and feet and spends the days hanging out with her sisters, enjoying life under Jesse’s care. 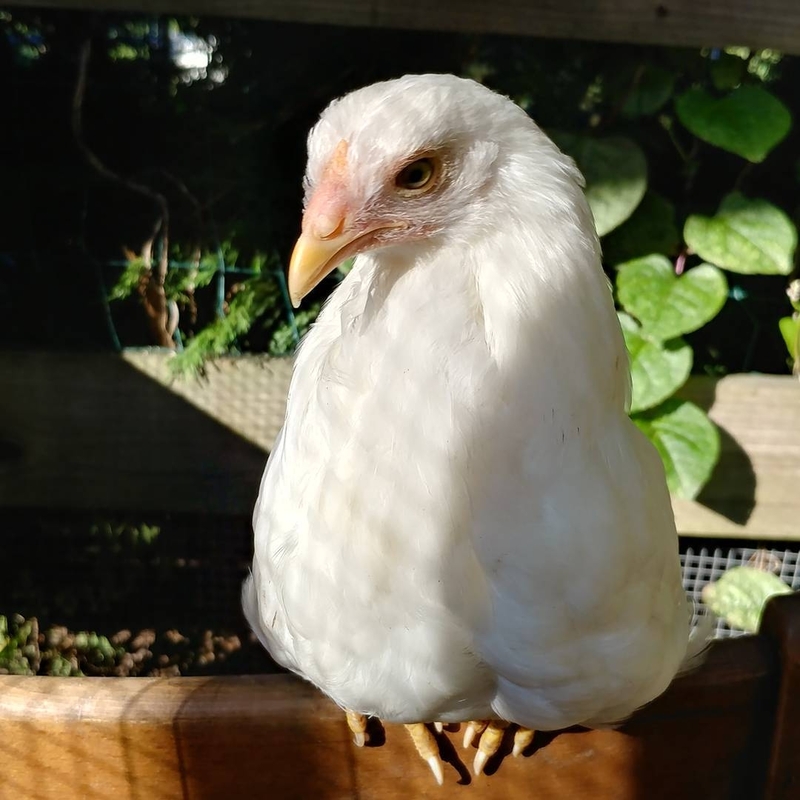 Glo is beautiful and the friendliest of all the chickens. Glo and her girls at 10 weeks of age. Can you spot Glo? Follow Glo and her siblings on Jesse’s Instagram @yesigarden!